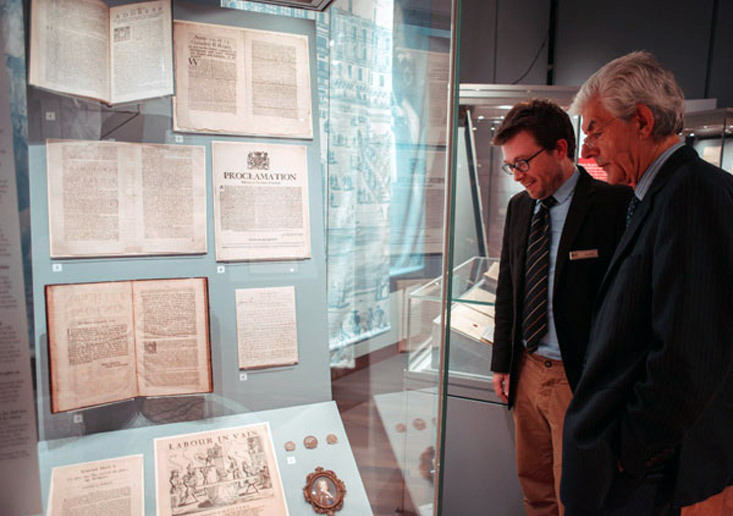 Rare books curator Robert Betteridge (left) gives Professor of Scottish history at the University of Dundee, Christopher Whatley, a tour of the 1715 Jacobite exhibition at the National Library of Scotland. The National Library of Scotland holds many items relating to both the 1715 and 1745 Jacobite risings. Rare books curator Robert Betteridge looks after the library’s collections of Jacobite material and recently curated the Library’s exhibition commemorating the 300th anniversary of the 1715 rising.